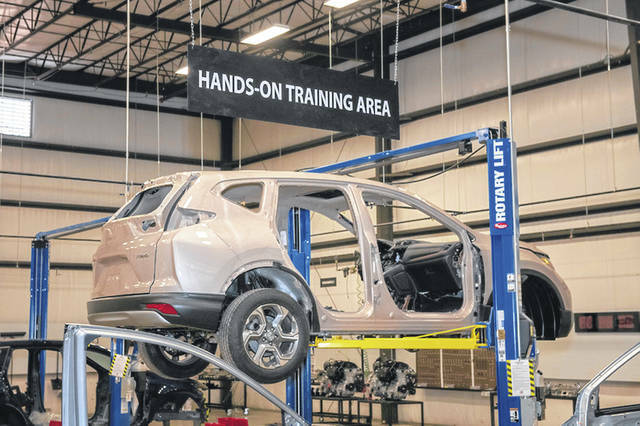 Honda associates will receive hands on training at the new training center located in Bellefontaine. Hands on training will be available for the new Honda Training Center located in Bellefontaine. On hand for the ribbon cutting ceremony were, left to right, Donna Hall, Honda’s Manufacturing Training Center – group leader; Teel Smegal, Honda’s Manufacturing Training Center – project leader; Pam Heminger, Honda of America Manufacturing, vice president; Ben Vollrath, Logan County Chamber of Commerce president; and Mark Neeley, Manufacturing Training Center – training coordinator. 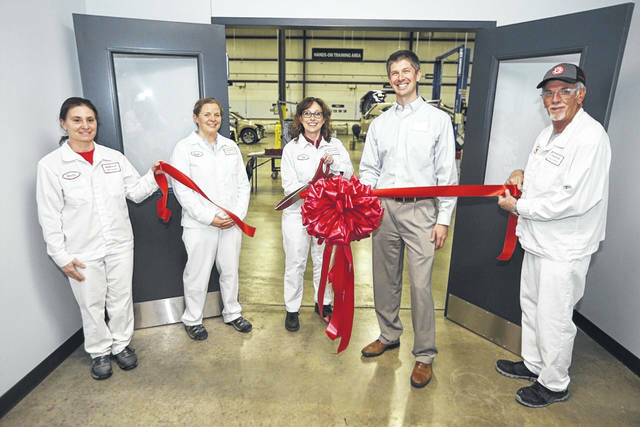 BELLEFONTAINE — Honda of America Mfg., Inc. is opening a 40,000 square-foot training center to provide new production associates with the skills needed to successfully transition into current manufacturing roles. The two-week, hands-on, innovative program supports workforce training for Honda’s Marysville Auto Plant, East Liberty Auto Plant and the Anna Engine Plant.